Presented for outstanding achievements in the field of "Sustainable Chemistry"
Muttenz, October 13, 2016 – Clariant, a global leader in specialty chemicals, yesterday presented the CleanTech Award for outstanding scientific achievements in the field of "Sustainable Chemistry" as part of the third Clariant Chemistry Day. 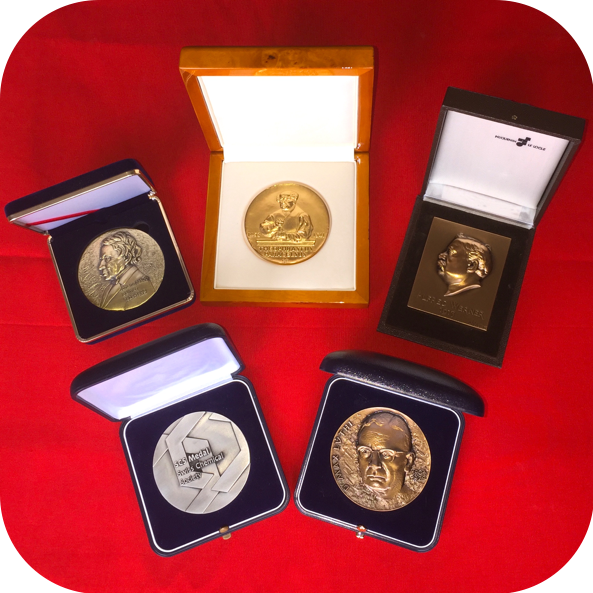 This year, the accolade was awarded throughout Switzerland for the first time in collaboration with the University of Basel and the Swiss Chemical Society. First prize went to Luo Jingshan of the École Polytechnique Fédérale de Lausanne (EPFL) for his accomplishments in hydrogen fuel generation as a future energy source via solar water splitting . Britta Fuenfstueck, member of the Executive Committee at Clariant, presented the award to the beaming winner: "Today's awardees achieved remarkable results that contribute to tackling the challenges of our society by creating product and process innovation." Before the award ceremony, more than 100 students and industry representatives took part in an exciting event dedicated to the exchange of information between industry and academia. In addition to the nominees for the CleanTech Award, Laura Allegra Büldt, winner of the Chemistry Award at the University of Base, also presented her research results. Guest speaker Professor Ronny Neumann from the Weizmann Institute of Science in Israel also gave a talk. In addition, almost 30 other attendees presented their science projects on the theme of sustainable chemistry with posters and presentations. At the end, the jury named Christian Fischer from the University of Basel as the winner of the Poster Award for his work. Explaining the idea behind the Clariant Chemistry Day, Dr. Martin Vollmer, Chief Technology Officer at Clariant, said: "It is important to us that we actively promote knowledge sharing between students, researchers, and companies, and foster young talent with their research projects in the field of sustainable chemistry." Professor Marcel Mayor of the University of Basel was equally enthusiastic about the concept: "The Chemistry Day creates a better understanding of how cooperation between academic researchers and industry can add value for our society." This is the third Chemistry Day organized by Clariant, and the company has also used the event to give insights into current research projects.